Approximately 20 of the Government’s national Broadband Delivery UK projects with BT (Openreach) and other ISPs are understood to be “in default” due to a shortfall in the operator’s expected deployment of new fixed line “superfast broadband” (24Mbps+) infrastructure, but the overall picture is more positive. We’ll begin with the positives. 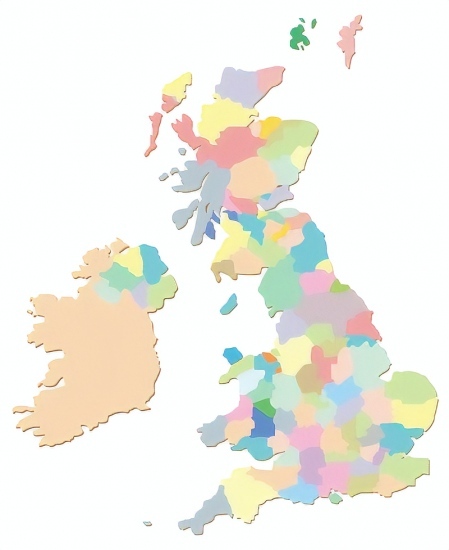 At the start of this year the Government announced that an estimated 95% of premises across the United Kingdom were now within reach of a superfast broadband ISP connection (here) and much of that was due to the success of their BDUK programme. Overall nearly 5 million additional premises have benefited from the extra injection of state aid to support this (details) and average take-up is strong (here). Generally the project has been able to harness roughly £1.6bn+ of public funding, which was often matched by the private sector, to help push the service deeper into the country than private investment alone was willing to take it (commercial networks alone reached about 76% of UK homes and businesses, without the subsidy). In summary, the 95% target was achieved more or less on-time and that’s no small feat for such a large and complicated project. On top of that the clawback (gainshare) clause, which requires public funding to be returned and reinvested as take-up starts going beyond 20% or so, means that we should see the 95% coverage figure climb further to “at least” 98% by around 2020. So far, so good. As you might expect with a project of this size, there have however been some complications. While many contracts have completed on time and some are even ahead of schedule, others haven’t or may have experienced some complicated problems with final service delivery (e.g. delays caused by problems securing the necessary wayleave agreements for land access, challenges with digging through granite, difficulty accessing the necessary power supply or problems securing timely permissions etc.). The situation of unfinished deployments in Wales (note: they are not one of those in default), many of which are expensive ultrafast Fibre-to-the-Premises (FTTP) based solutions rather than cheaper but slower Fibre-to-the-Cabinet (FTTC / VDSL2) services, shows just how difficult this can be (here and here). In some cases communities have even dropped out of the rollout plan because they were deemed too difficult (expensive) to reach, although equally others have been added. The fact that these later phases of the BDUK programme, particularly the most recent extension contracts, tend to involve tackling some of the most remote rural areas (plus a few tedious suburban locations) is no coincidence. Reaching small and sparse communities in the middle of nowhere is a heck of a lot more challenging than hooking up very large villages or modest sized towns, where people tend to live much closer together. The inside-out deployment model inevitably means that the hardest bits end up being last on the list to benefit and so we perhaps shouldn’t be surprised that some of these are suffering difficulties. Sources inside a number of UK councils have informed us that approximately 20 BDUK contracts were recently classed as being “in default” (the figure is alleged to have been c.23 in April) due to a shortfall in their deployments (e.g. Northumberland). We understand that this information has not yet been disclosed to the Parliamentary Select Committee that oversees the BDUK work. “This is a complex nationwide infrastructure project so it’s important to look at the whole picture rather than a quarter in isolation, which will inevitably show some partnerships ahead of schedule and some behind. Our partnerships with government have delivered broadband upgrades to over 4.8m homes and businesses since 2012 and we’ve upgraded many more premises than we originally planned. This is an unparalleled public procurement success story – underspending by over £100m to date, generating cash returns to local bodies of £129m and with hundreds of millions more expected. In fairness and as we’ve alluded to above, the term “in default” often sounds worse than it is. For example, it could in theory mean a shortfall of as little as one home being upgraded in a single quarter but in reality it’s often a fair bit worse that. Exact figures are hard to come by as the contracts remain on-going, but some areas could be behind by thousands of premises. Equally what this means is that it’s possible to be “in default” during one quarter and ahead of schedule during the next, with one crucial aspect being that Openreach are only paid for work once a milestone is completed (i.e. never whilst a contract is in default). Openreach added that last year they delivered significantly more upgrades than they had previously committed to (776k premises at 24Mbps+). “Our broadband rollout has helped make superfast speeds a reality for more than 95% of the UK, on schedule and under budget. We are still reaching thousands more homes and businesses every week, even though we are now working in the most challenging terrain and environments. One other point to make is that BT do account for the vast majority of BDUK contracts, although some smaller alternative network ISPs have secured contracts (Gigaclear, Airband etc.) and they may also be included in the overall total of “in default” contracts. Are these BDUK plans available to the public? Surely for each project we should be able to see the latest status, changes, realistic timescales and any holding factors. It won’t change the plan but it would reduce frustration at the uncertainty for both communities affected and the industry as a whole. Plans yes (in broad terms), status genrally very limited. I have found it impossible to get any idea of progress or current status from the BDUK body in my area, Fastershire. If they respond to queries at all (and they no longer do for me) they just refer to their web site which has no up to date information. Everything is either commercially confidential, or too early to confirm anything. Four and a half years ago (when I moved here) my neighbourhood was in the plans for FTTC. But was then excluded from FTTC because some properties may not have received >30Mbps. So now we have been in the Phase 2 plans for 2 years, and still no sign of any build starting in the areas that are ahead of ours. But we are in the plans, so are ineligible for broadband vouchers. Lack of information is actually worse than lack of broadband, as it prevents us from being able to do anything about the broadband ourselves. Wasn’t the Welsh issue with partial completion somewhat different? Namely that the contract was declared completed when the targets had been met. There is now no means for BT to get paid on completion of these installations until/unless a new contract is agreed. The Welsh Government, not surprisingly, are playing tough on this to squeeze the best deal possible – after all, they have not had to pay for those assets-in-limbo so are playing a strong hand in that respect. Yes but the example of Wales exists above more to highlight some of the other practical problems that can impact a deployment, such as with securing wayleaves etc. It also prevents hard-pressed commuters (even before the May 2018 timetable change…) from finding out whether a TOC (Train Operating Company) have met their contractual commitment and if not, whether DfT have applied the sanctions set out in the contract. Of course, the real reason is so that the appalling state of client-side contract management in Government can be kept as hidden as possible. I think the ‘unparalleled public procurement success story’ can only be claimed when all the monies owed and resting in accounts are converted into rural coverage. The lack of reporting is such that before Christmas, BT Group’s £400m voluntary B-USO offer was being touted and taken seriously by Ofcom in 2016. Now a full fibre transition is being contemplated for 2033. The lessons learned have yet to be crystallised and published but let’s hope the reluctance to publish lessons learned, including an accounting of the required BT’s capital contribution does not inhibit greater progress in deploying FTTP in rural. A recovery plan from the BT Group gambit is yet to fully materialise. OR needs to keep pushing out more of the BT Group MD’s so OR can re-build relationships with public officials.